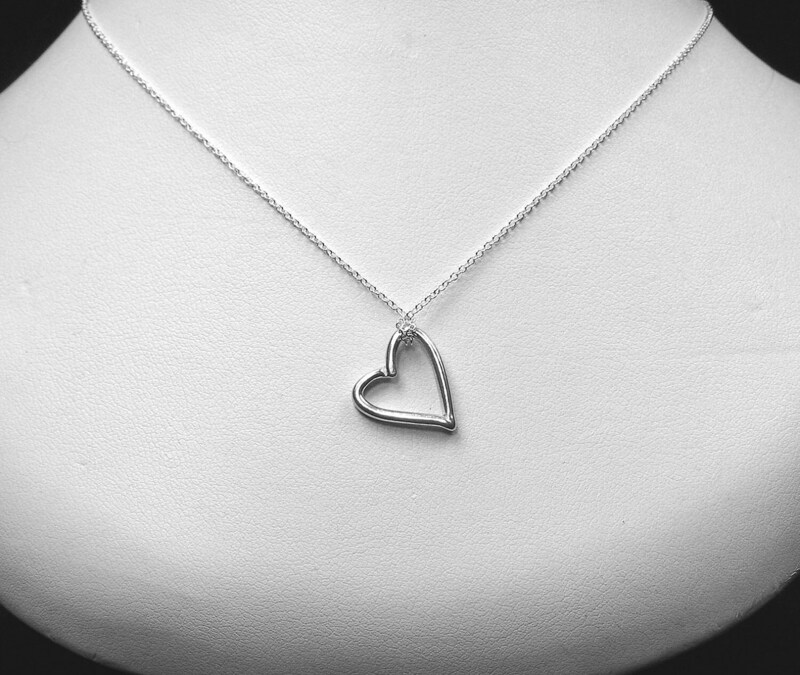 These are the last Sterling silver open heart necklaces. 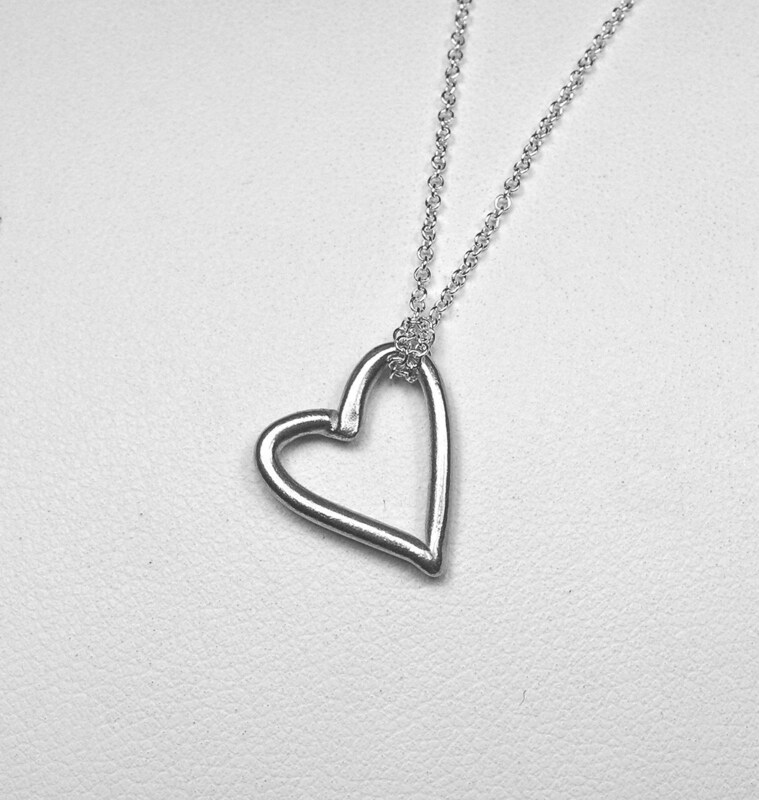 Charm is hung on a delicate sterling silver 16" chain. Heart is approx 1/2" x 5/8" .